Classic 911s seem to be on a tuning high pitch at the moment, with the likes of Singer Vehicle Design in the States and Rauh-Welt in Japan merging old school looks with more modern ’90s chassis and bringing the appreciation of ’70s and ’80s 911s to a new generation. There’s no doubt that these teams produce exciting takes on the legendary model, but they are hardly the first to reinterpret Stuttgart’s finest. For that, you need to go back to the mother country and a team who have been tricking out Porsches since before most of the young pretenders were born. 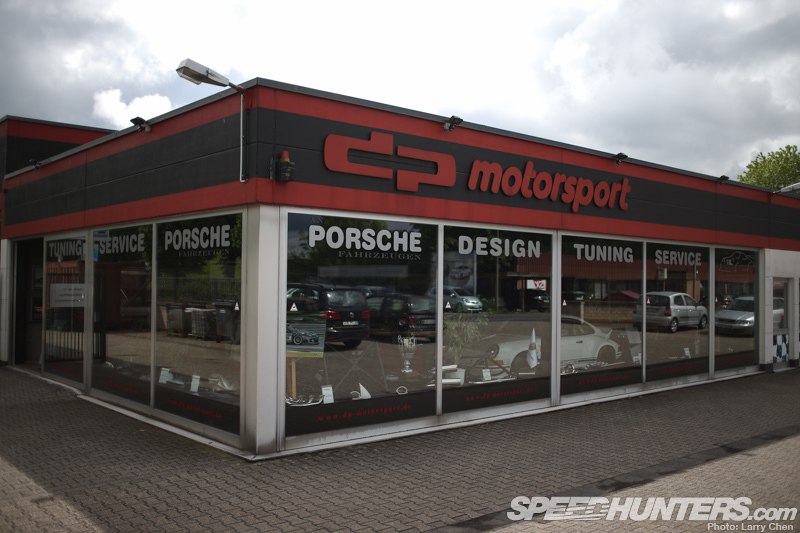 Welcome to DP Motorsport, celebrating 40 years of reinventing Porsches this year and still producing some of the lightest, fastest 911s on the planet. 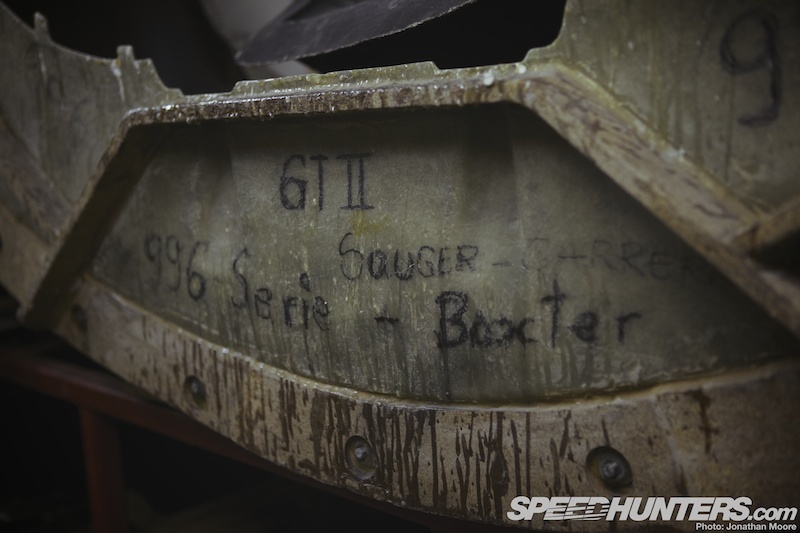 Alongside Kremer and Joest, DP Motorsport (‘Design & Plastik’) are synonymous with tuning racing Porsches, and in fact the Kremer and DP closely collaborated during the 1970s to produce some of the most iconic racing Porsches ever: the K series of GT monsters. 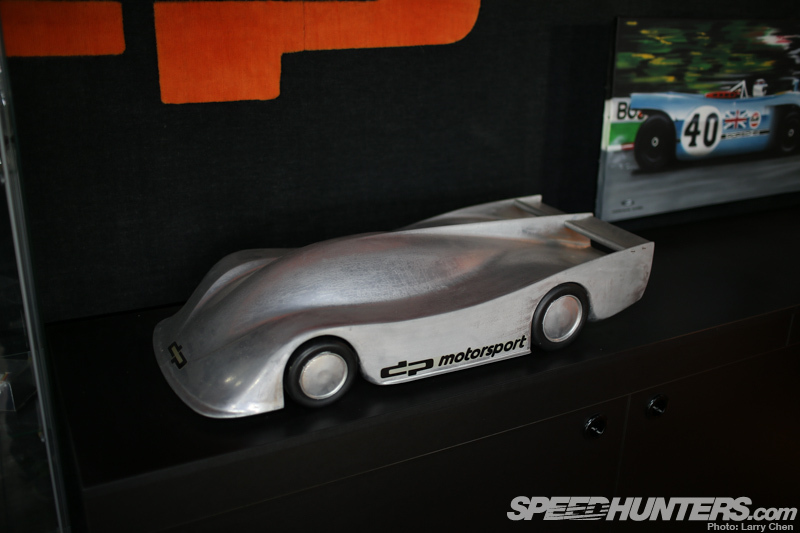 Kremer made the weapons system under the fibreglass, but those iconic bodies came from the pen of this man, DP Motorsport founder Ekkehard Zimmerman. It’s almost difficult to believe that this modest and friendly chap was responsible for beautiful brutes like the K3 and K4. 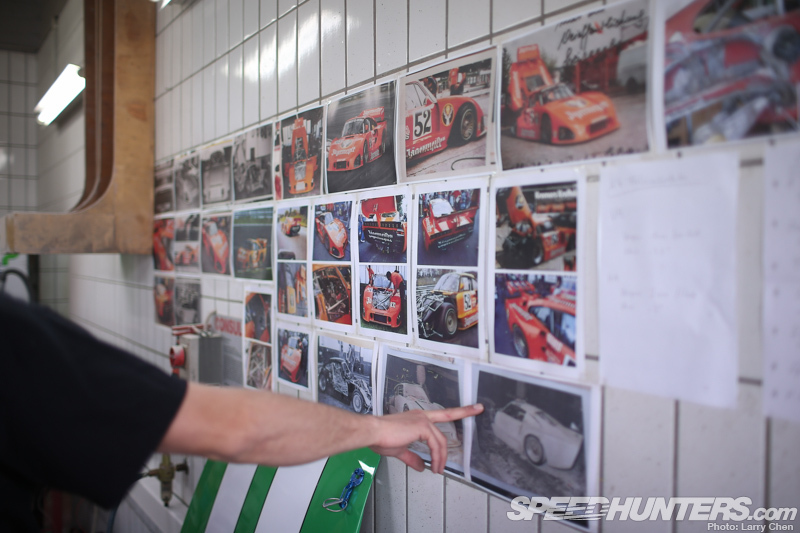 As the ’80s came round, Ekkehard began to make his own race cars, designed and built in-house: the slant-nose DP series, which could be summed up in the three words. Lighter. Wider. Faster. Rewinding slightly, DP have never been just about race cars. They are true Porsche artisans, hand-crafting their own takes on not just the 911 but also some of the less obvious road car output – and often in a completely stunning fashion. Ekkehard had joined Ford in Cologne in the late ’60s, which is where he cut his teeth in the business. 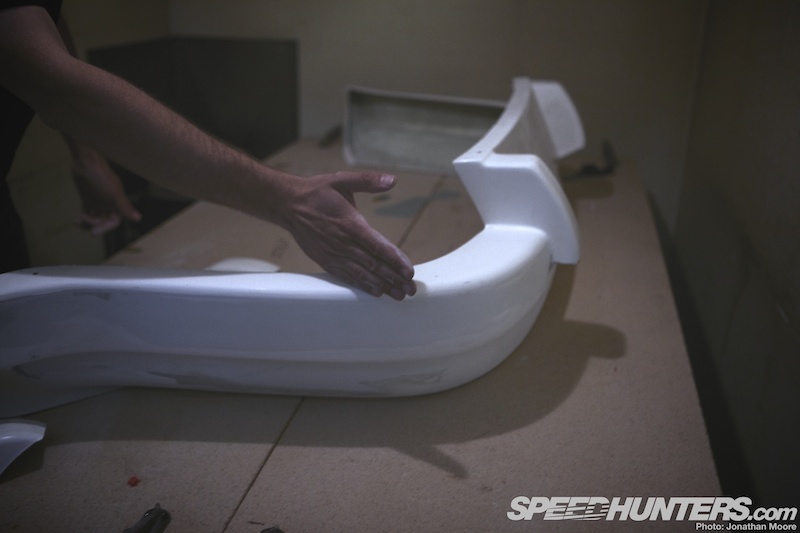 There he built up his knowledge of both aerodynamics and vehicle design, and by the ’70s he was creating his own fibreglass parts for formula cars in his spare time. 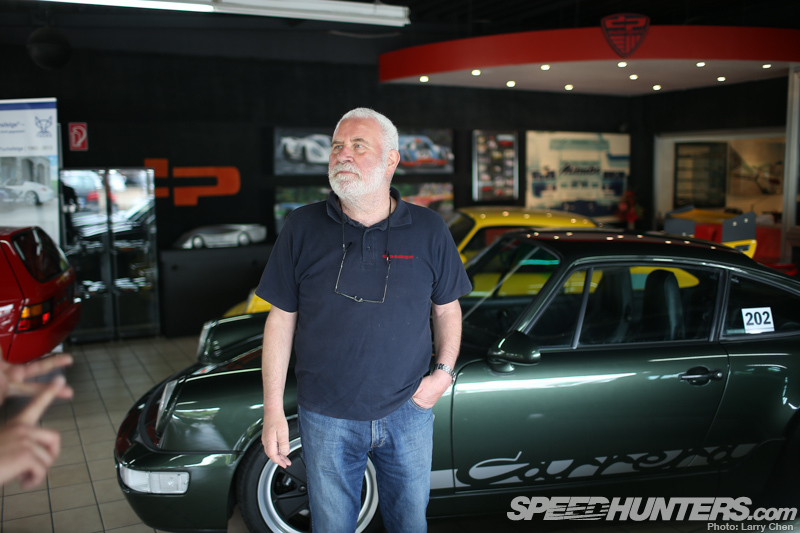 The Porsche seeds were planted soon after: he started working on new body parts for Porsche-owning friends, which spurred him to leave Ford and set up on his own, and in 1973, DP Motorsport was born. 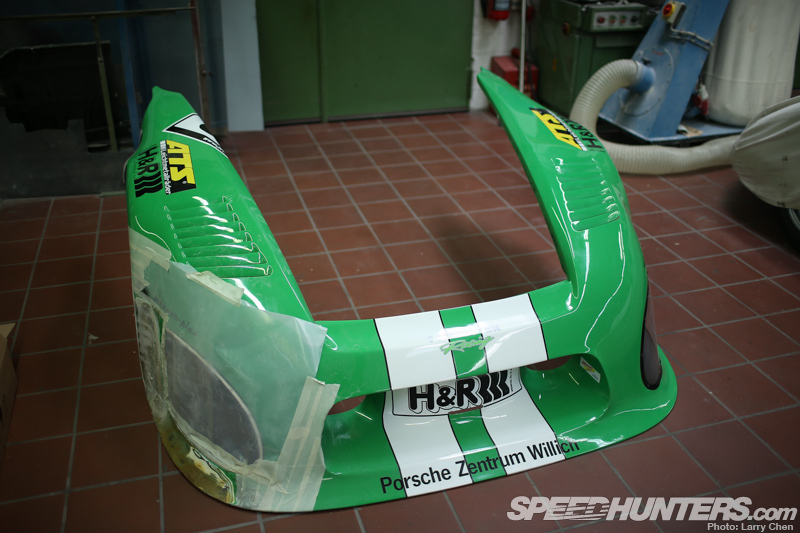 His involvement with Kremer came about through an introduction by a mutual friend: his first commission was to modify panels for the Kremer ’73 RSR, and he also began making his own spares for Porsche road cars. 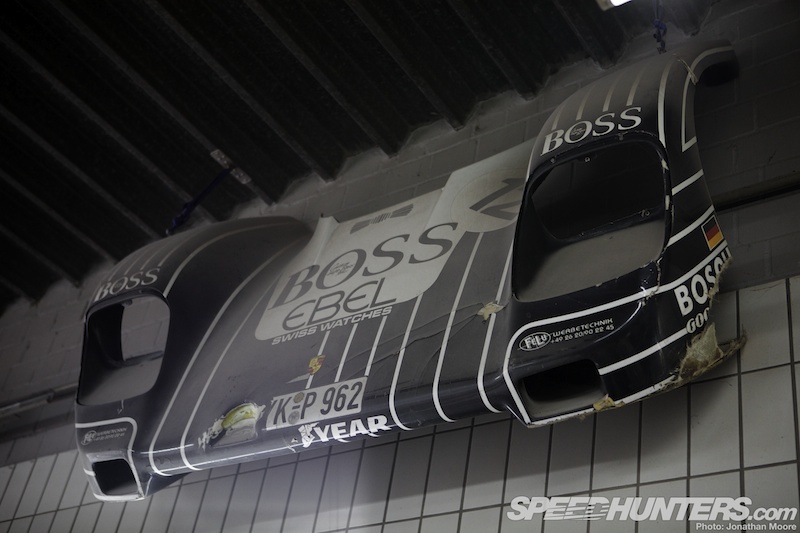 Mere replication wasn’t enough: in every curve and line Ekkehard could see room for improvement, so he began to create his own body kits with deeper bumpers, larger wings and wider flared arches. 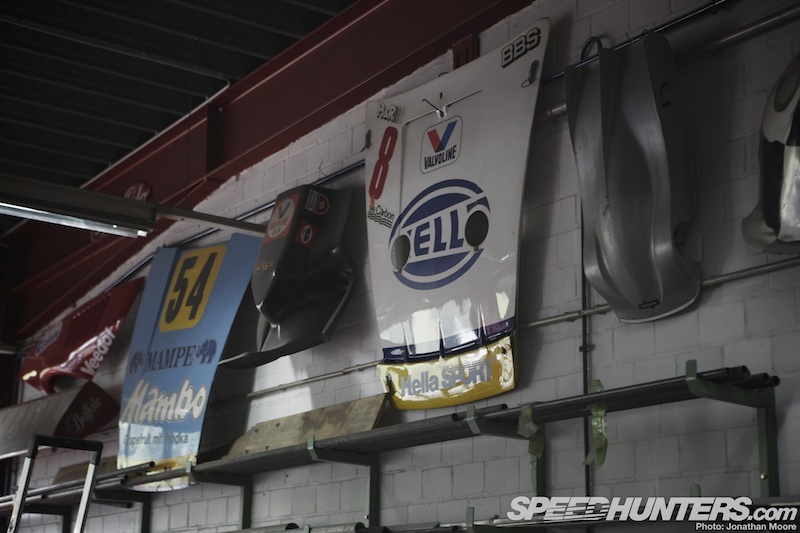 Ekkehard wasn’t always operating outside Porsche though: he worked with the factory to design the long-tail version of the 908/03 – the sides of which are among the racing ephemera hanging on the walls of the DP workshop. The K1 to K4 followed later in the decade, with the last full collaboration being the CK5 prototype. 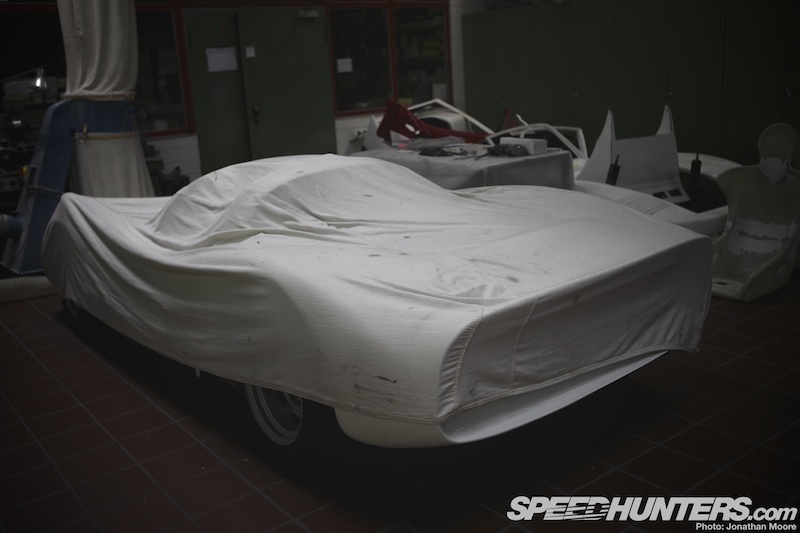 The Kremer connection has recently been rekindled, with the former company’s decision to make a continuation K4 – the DP team currently have the half-completed car in their workshop. I’ll have an update on their progress in a separate story. … and then even converted race cars for the road, most famously with the Group C 962s they converted in the late ’80s. Yet again, DP were there first, decades before more recent conversions. 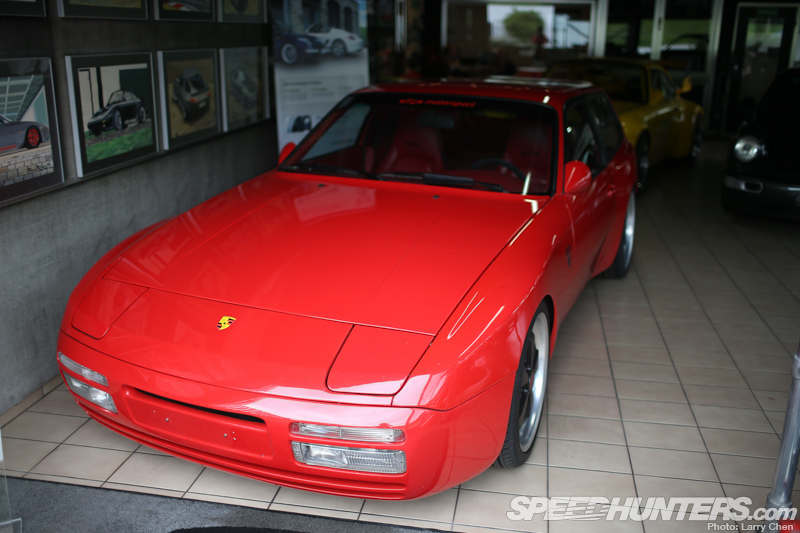 Each 650hp bi-turbo build took over 1,000 hours and a hundred times that in Euro equivalent cost. 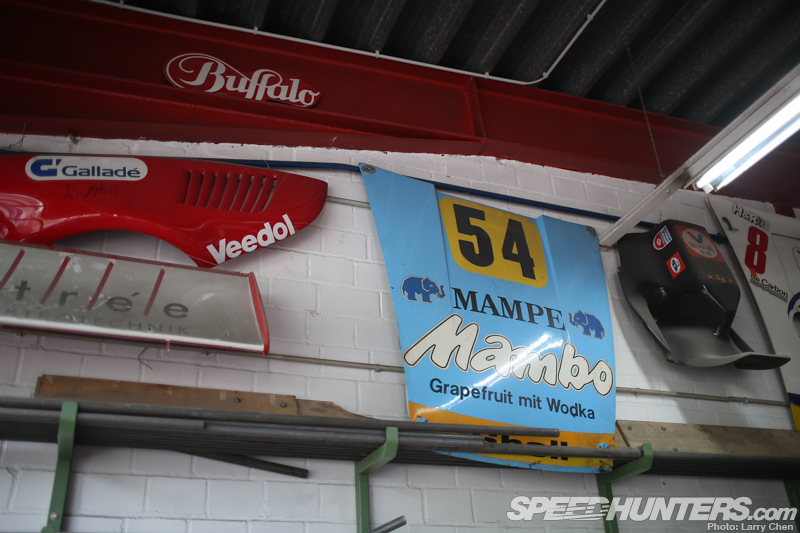 The nose from a crashed DP962 now hangs on the wall of the workshop. I wonder if the crash had anything to do with the 3 second 0-60mph and 340kph top speed? 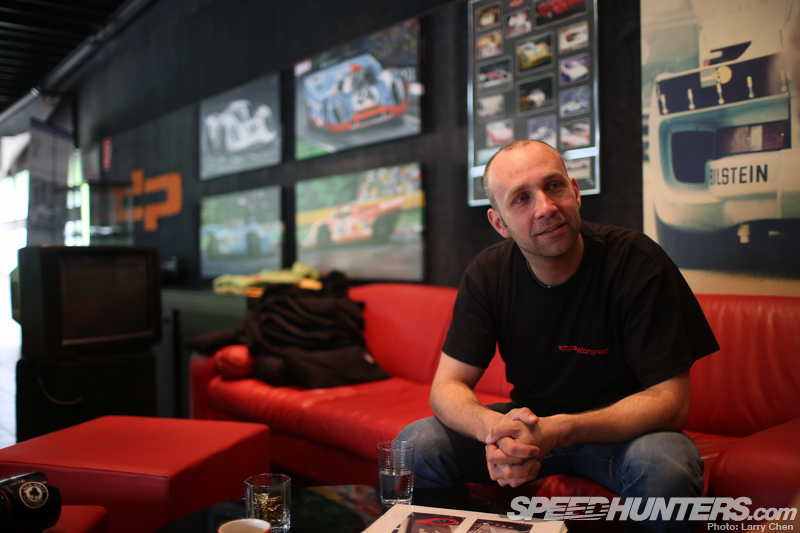 Ekkehard’s son Patrick now runs the company, which like a number of firms in the tuning business went through a difficult time in the late ’90s. But DP is enjoying a new lease of life in the modern period, able to combine their decades of experience with new composite materials and technologies to create cars which are just as wide as ever (though standard classic narrow is a popular option), but now even faster and lighter. They’ve enjoyed an explosion of projects in the last decade, both recreations of some of their classic designs in modern composites and refinements of modern Porsches like the 997 and Boxster. 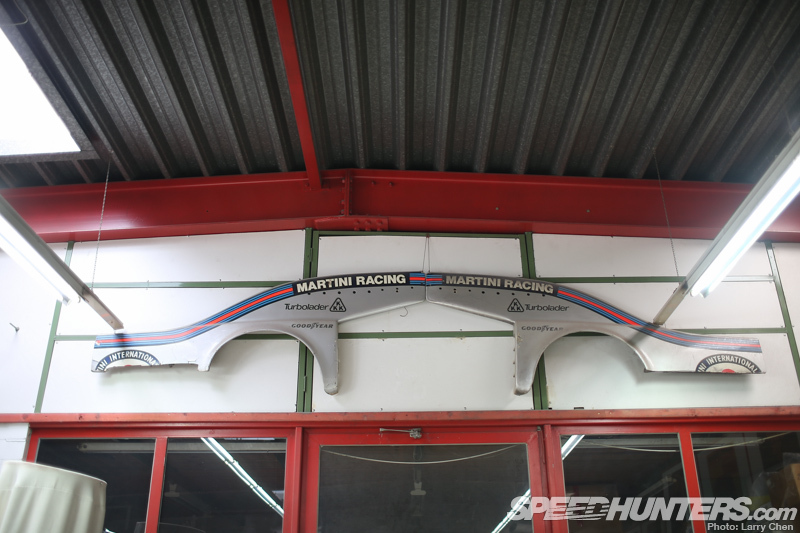 Even some Italian metal has come through the door, with the odd Ferrari and Lamborghini project also undertaken. 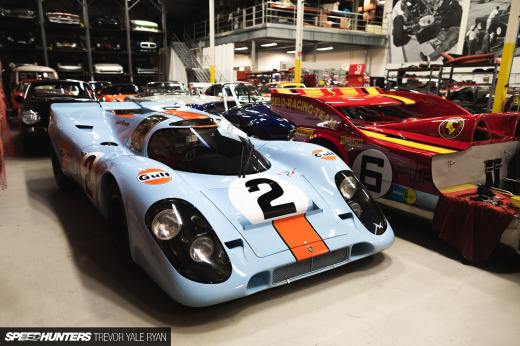 … as this quartet of DP Porsches amply demonstrated what makes the firm so special. DP might have gained their fame through their work on hand-crafted exterior styling, but they are just at home on a complete ground-up build, starting from the inside out. 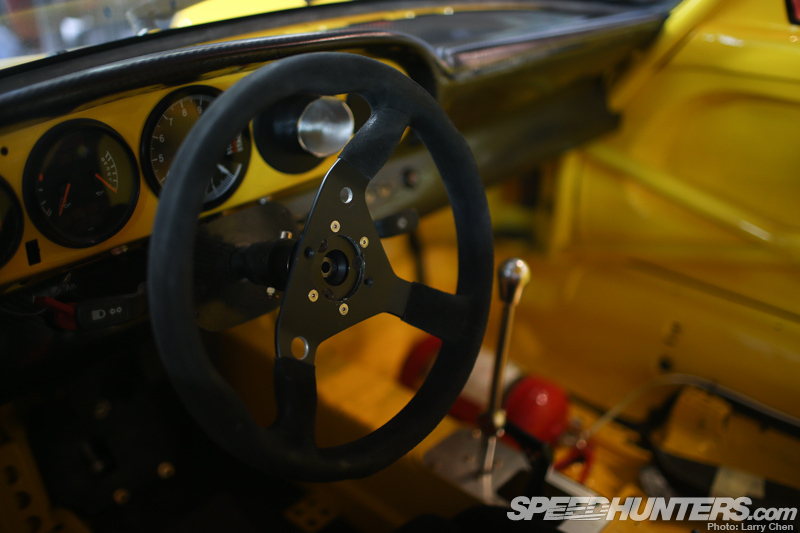 This yellow DP64 RSR 3.8 is a specialist track day car, but also had an interesting story. It had been built independently as a race car in the ’90s, but then in the early 2000s the car was brought to DP in order to create a 993 GT2 replica, which Patrick completed and supplied, unpainted. Then five years ago another customer turned up at DP with the same car, just as Patrick had delivered it several years earlier! 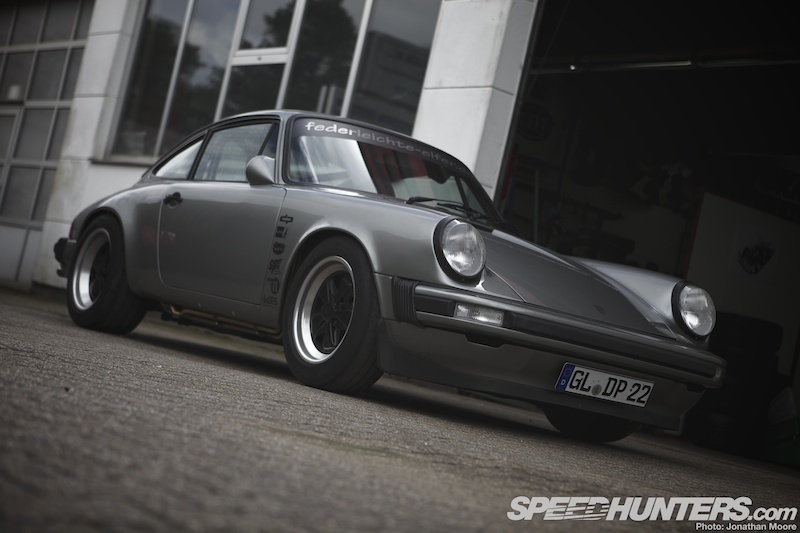 This time it was completely stripped back and rebuilt as a wide-body RSR to make a ferocious, no-frills track day car. Like a number of the recent DP projects, it’s sitting on Fuchs forged 18″ wheels, a larger version of one of their heritage rims. … but from the rear. It’s mind-bendingly awesome. 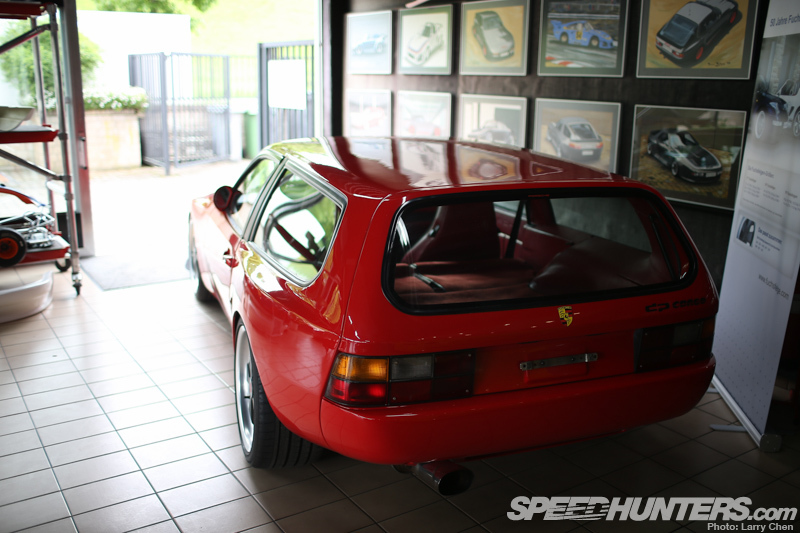 I won’t go into fine detail here, as we’re planning a full feature on this car in the future. This beautiful RSR Superlight knocked us out. From the outside it looks classic but relatively normal, but then Patrick talked us through the build. ‘Light’ doesn’t begin to sum up just how little this 3.0SC conversion weighs. … lightweight fuel cell, stripped interior and all carbon panels. That means 292hp for 850kg. Basically, it’s an automotive weapon. 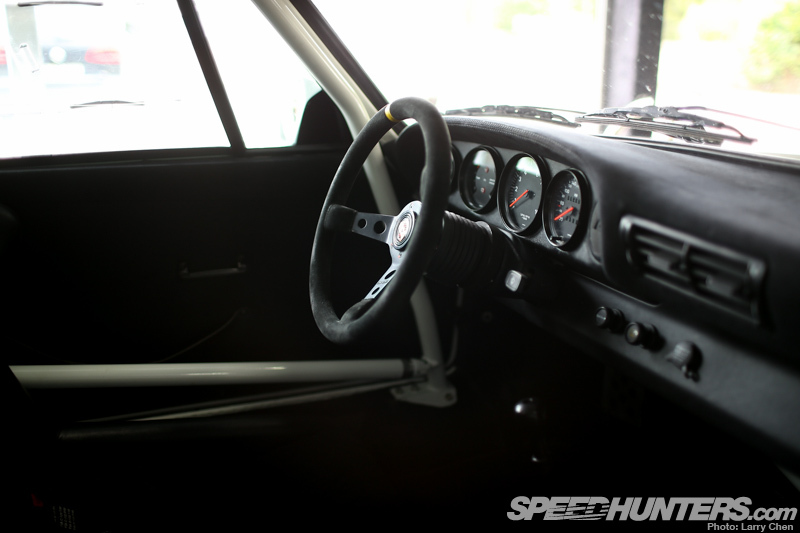 Outside is Patrick’s own development car: his Sleeper 3.2. Like the Superlight, this 911 has some serious power to weight numbers. It’s 270kg lighter than standard. Hanging out back is the 3.2 litre with a lightweight flywheel and titanium exhaust. Again, all the panels are carbon, and this all means a fine return of 270hp on 905kg. 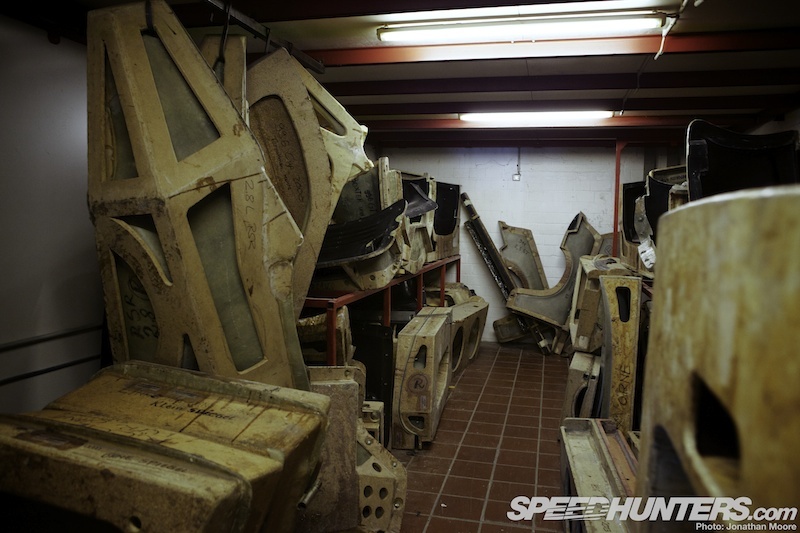 … the moulds for which sat in the main workshop – next to a complete kit of parts to build a replica K3! 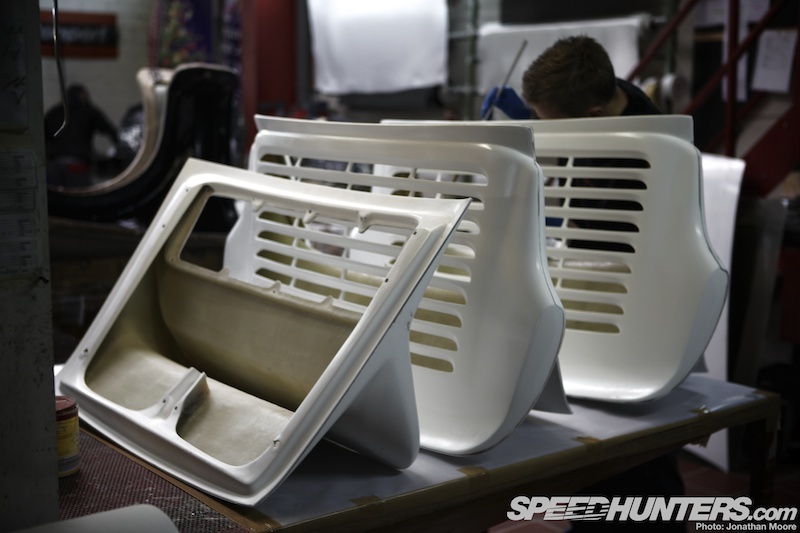 That brings us neatly to the manufacturing area, where a number of DP’s team were hard at work on a range of replacement body parts. 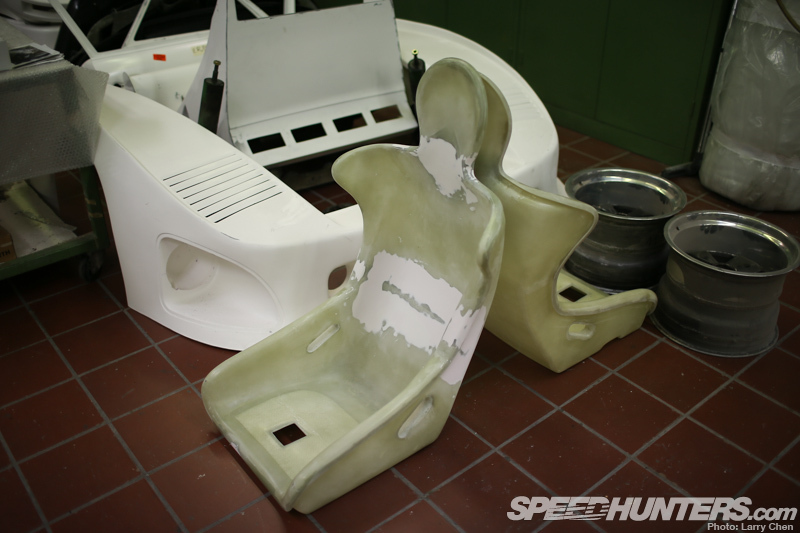 … plus vintage racing cars normally have to stick to their original spec, so in that case fibreglass is still used. Developing new pieces is laborious and time-consuming, with negatives made from original handmade test pieces to create the initial moulds. Wooden bucks from across the 40 years of the company were stacked up in every available space. 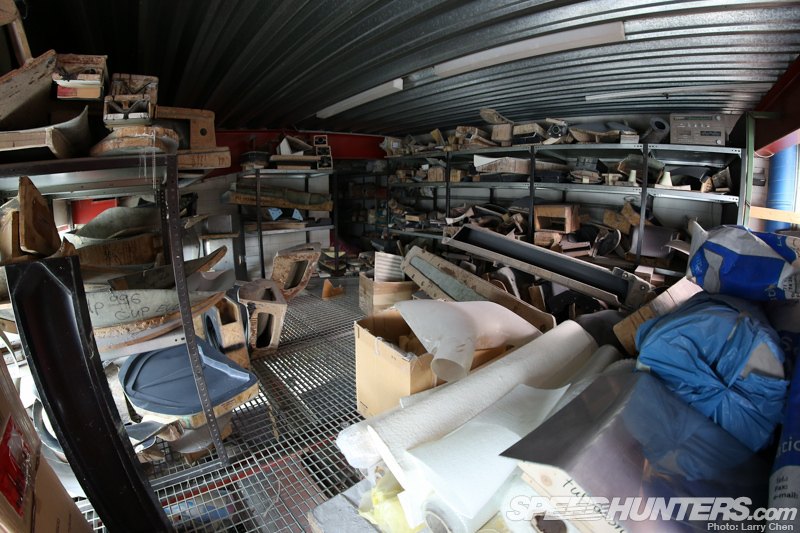 … as more were stashed on a mezzanine and yet more are in storage. It gives you some idea of the range of modifications DP have made over time. There’s constant development, with existing parts used as starting points to create new pieces. Which means more new moulds… and so it goes on! Ekkehard might have pulled back from full-time running DP, but he’s still fundamentally woven into the fabric of the company and his current long-term personal project was still in the workshop. 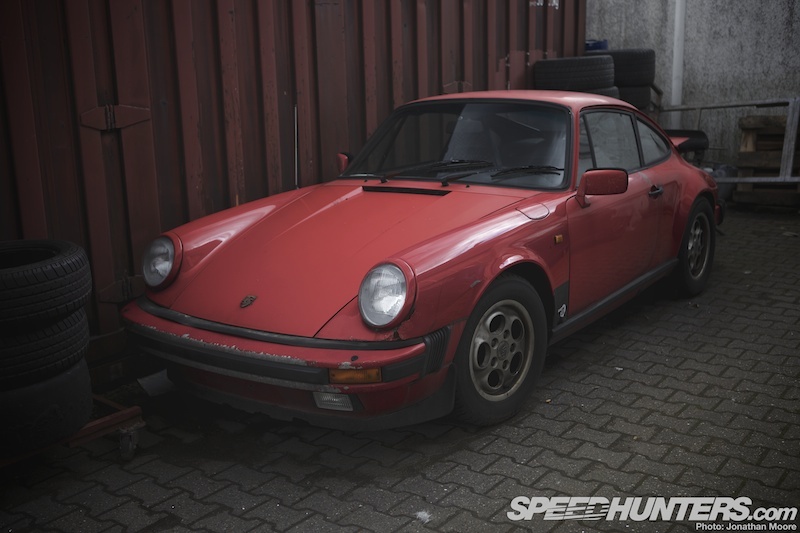 It’s known as ‘The last project of Ekkehard’, though that seems hard to believe for a man with such a passion for Porsches. It has been ongoing for quite some time, but appeared to be nearing the final stages of completion. 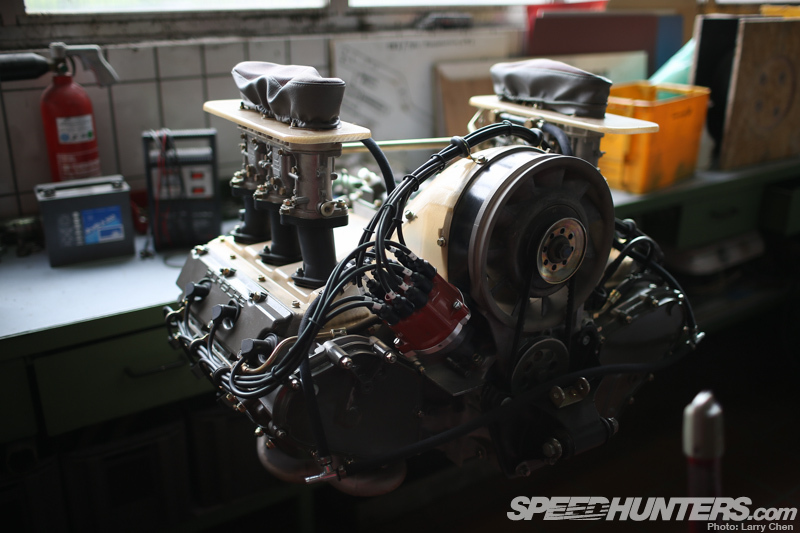 Its 350hp 3.5-litre flat six was looking like it had come straight off the production line. 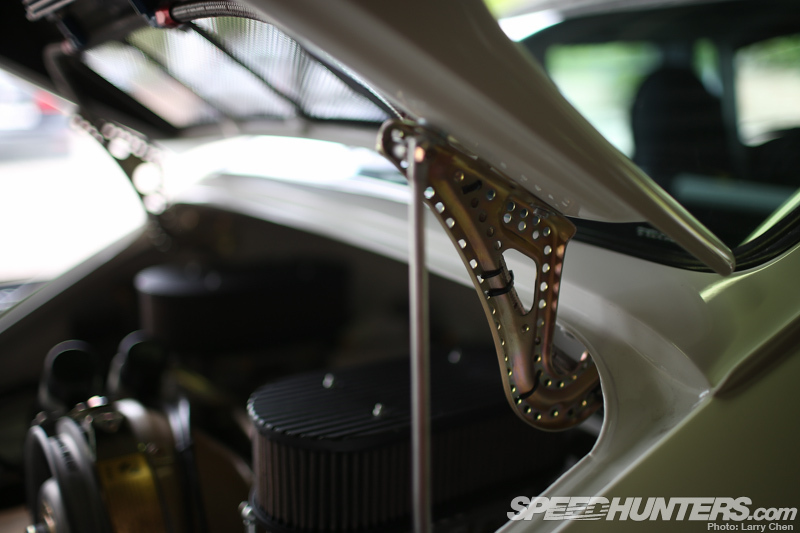 As usual with a DP build, you need to get up close to appreciate the subtlety of the exquisite workmanship. For this 911, Ekkehard has used his trademark approach of removing all the separate sills to create a single seamless body shape. 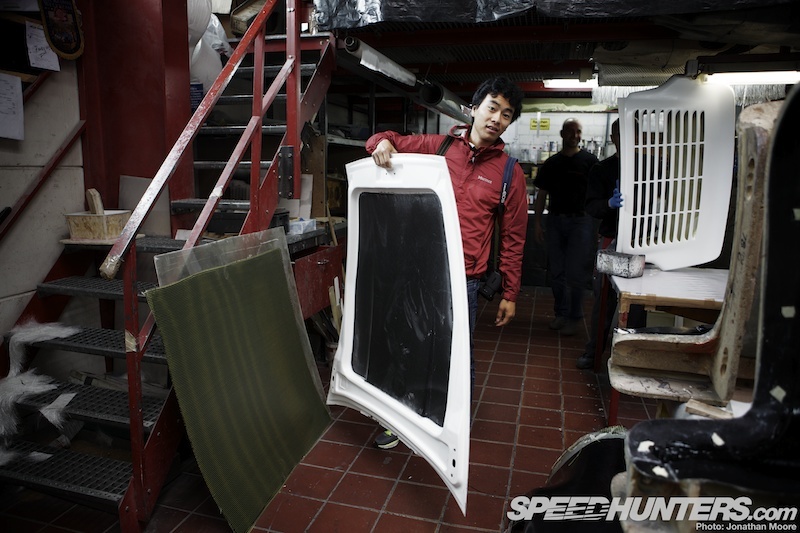 Doing that has repercussions all around the car: the door corners have to be rounded off, for instance. 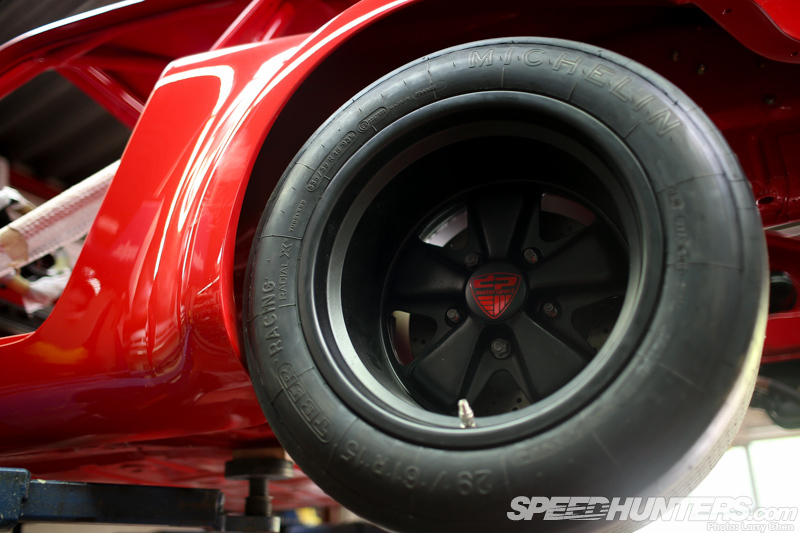 The wheels are branded Fuchs forged alloys, fitted with vintage-style Michelin rubber. Looks, lightness and build quality are a given, but the way a 911 drives is also woven into DP’s modus operandi. The instability that can sometimes affect these retro builds has been eliminated with some clever work at the front of the car. As with most Porsche tuners, the base car of choice is the 964: produced in large numbers it provides a more modern platform to work from and is generally a car that is easier to drive fast than the previous generations. But chopping them around at the nose to make the old bodywork fit can introduce serious lift at speed, so DP have their own bespoke nose styling that makes the classic look work but also produces a hugely more controlled driving experience. 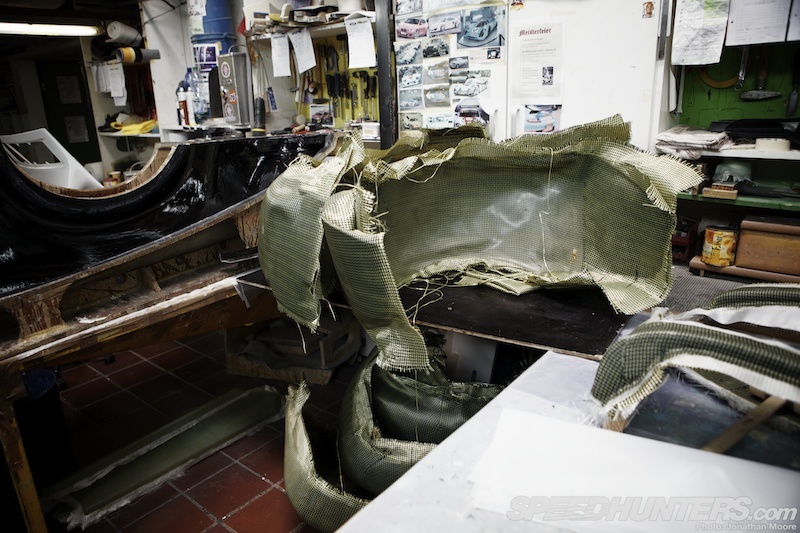 … and its beautiful engine was being tended to on the workbench, showing one of DP’s fibreglass covers. 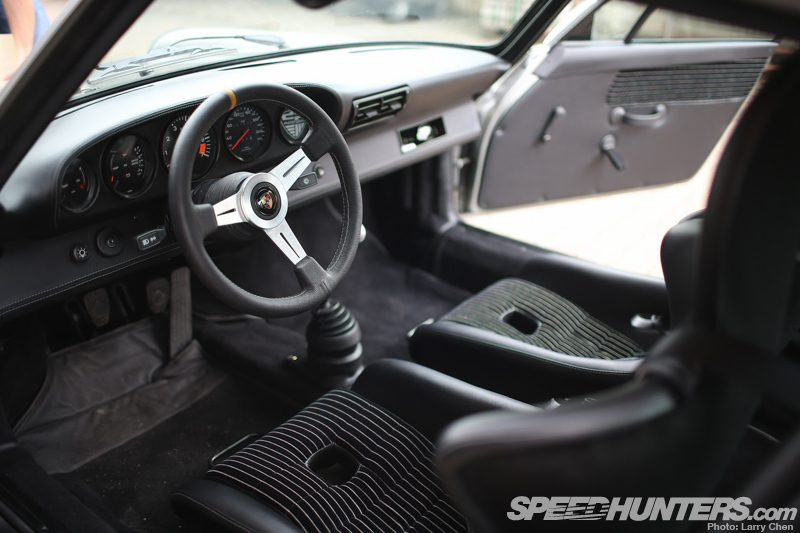 Patrick is also not just aware of the new kids on the Porsche block, but he’s even worked on a recent build where he’s supplied the interior to complement a Rauh-Welt wide-body exterior. As a designer himself, he’s excited by the work that’s going on around the world. The future of DP may be weighted towards the past, but that’s just fine with Patrick. In his opinion, it would be pretty much impossible to come up with something like a K3 for the modern generation: the factories just have too much money and computing power nowadays for a privateer to have a chance of producing something as game-changing as was possible all those years ago. Sitting outside next to Patrick’s Sleeper was this sorry-looking 911, awaiting some of Patrick’s rare and precious time to become another DP special. Perhaps you’re looking at your next car?